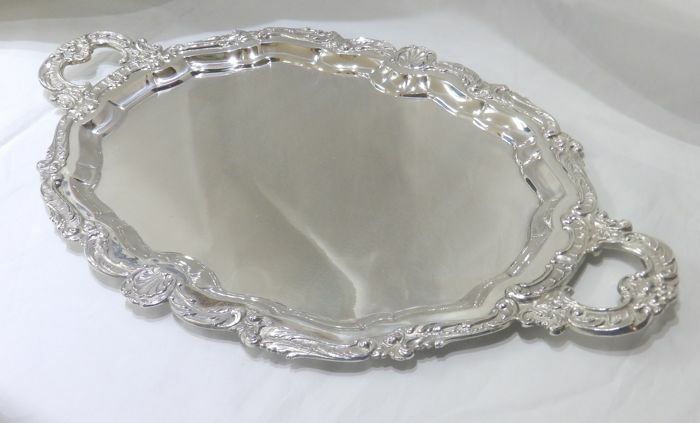 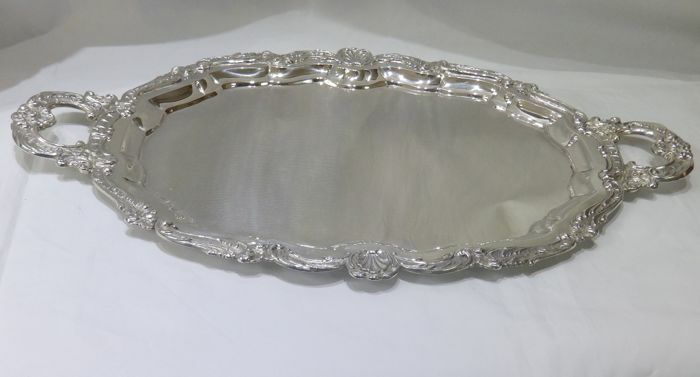 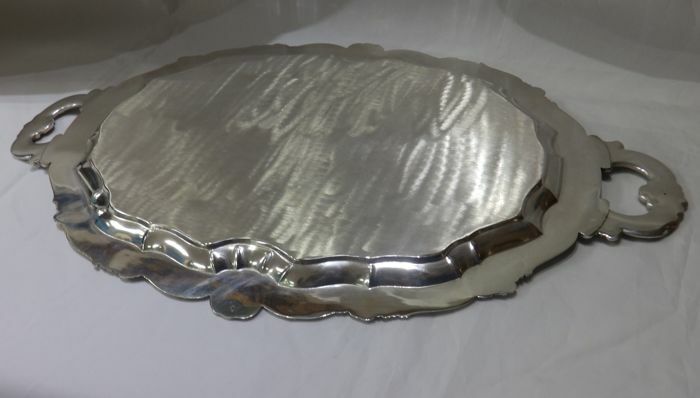 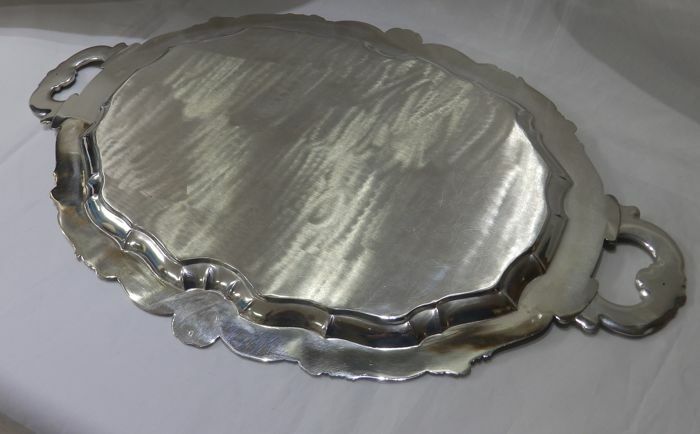 Spanish Silver oval tray, hallmarked. 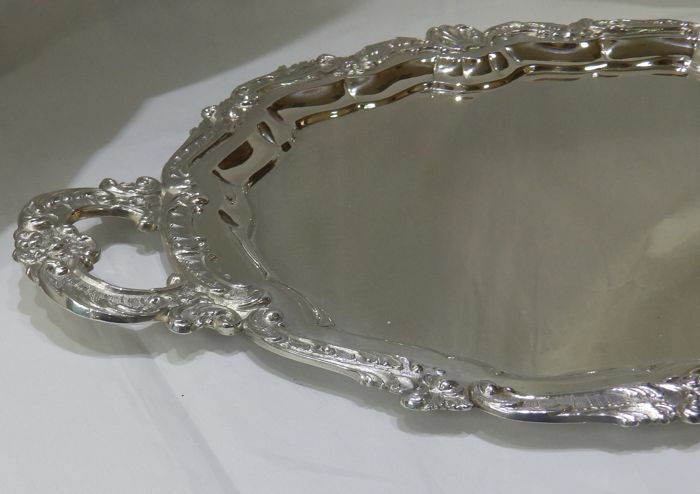 915/1000 fineness. Marks next to the edge. 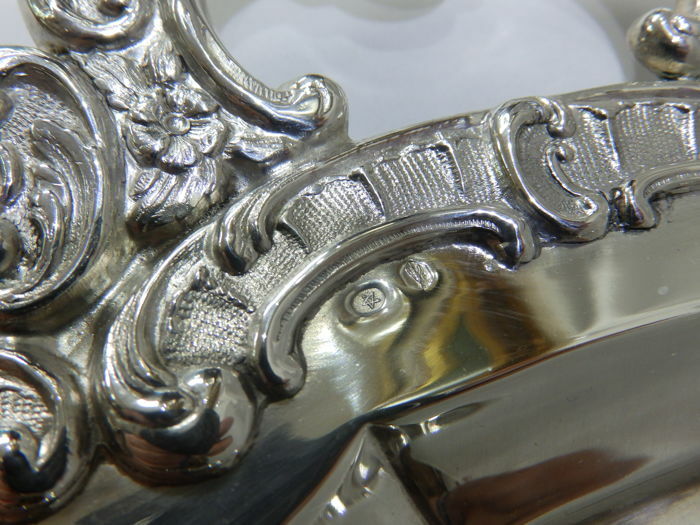 Raised edging decorated with a plant Greek key, moulding with plant rinceaux and shells. 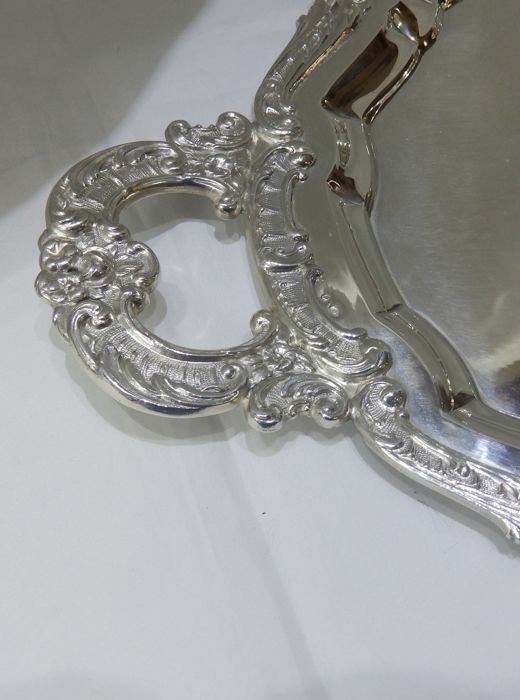 Handles decorated with plant and floral rinceaux. 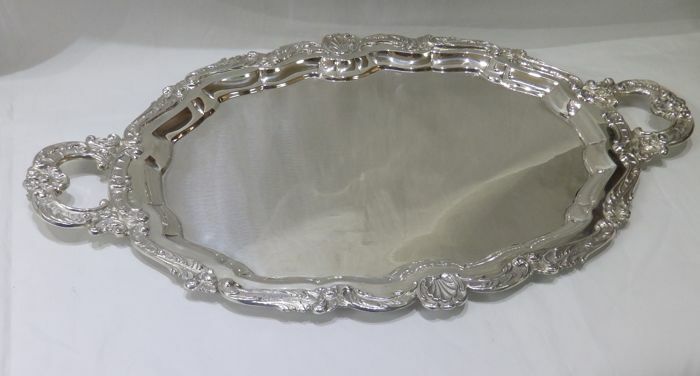 Dimensions: 56 x 34.5 cm, including handles.